Numbers 22-24 tells the story of the prophet Balaam, son of Beor. The children of Israel had finally entered the Promised Land and were conquering the inhabitants of the land one after another. The Moabites, fearing they would be next, hired Balaam to curse the children of Israel. While he tried his best, God prevented him from doing so. Instead, he blessed them. There was no extra-biblical record of a prophet by this name, but in 1967 Dutch archaeologists excavating in Deir ‘Alla, Jordan, uncovered one. 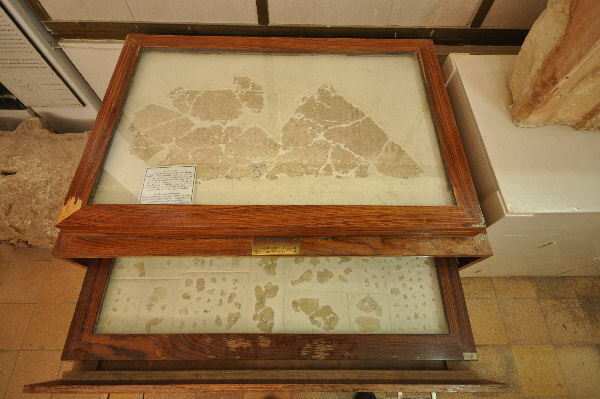 They found 119 fragments of plaster with ink writing carbon-dated to ~800 BC (the time of Ahab). The language is a mix between Aramaic and Canaanite. The presence of archaic words indicates it is based on an older text. The misfortunes of the Book of Balaam, son of Beor. A divine seer was he. The gods came to him at night. And he beheld a vision in accordance with El’s utterance. “So will it be done, with naught surviving. And for two days he fasted, and wept bitterly. So that you instill dread in dense darkness. And a nest of vultures shall cry out in response. Pigeons and birds, [and fowl in the s]ky.
Where there are ewes, a staff shall be brought. Free[ly feed], oh beasts [of the field]! Heed the admonition, adversaries of Sha[gar-and-Ištar]! To a perfumer of myrrh and a priestess. One augurer after another, and yet another. And all beheld acts of distress. 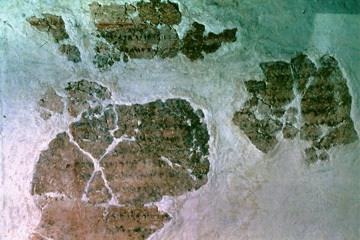 Significance: While the story and the content of Balaam’s prophecy has no connection to the Biblical event, this find provides good evidence that such a prophet by the Biblical name was active in the region, and may have been active at the precise time described by the Bible. he would got his prophecies only at night and that he was a seer!